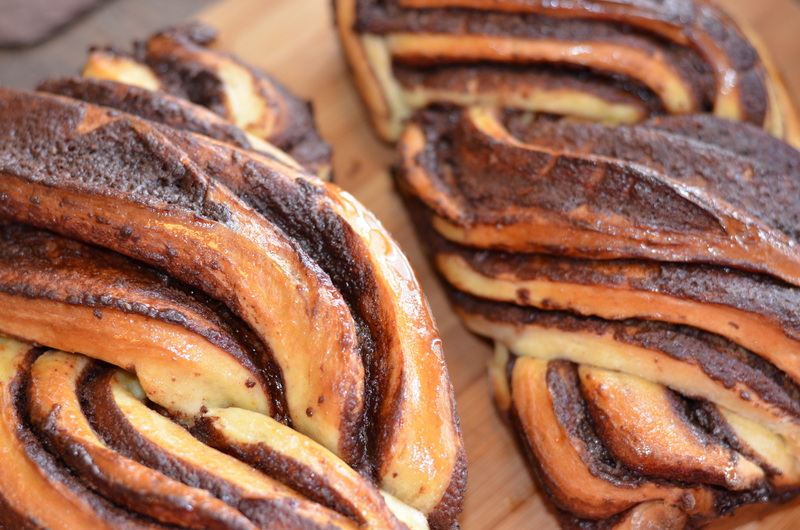 Mind-Melting Chocolate Babka / ARRIVEDERCI! – TESS TAKES OVER THE WORLD! The picture above is unusually bad, because if we’re all being honest here, I was taking these pictures in front of a room full of people who were waiting to descend upon the babka. So what you get, as a very direct result of said vultures friends, are sub-par pictures. My B! 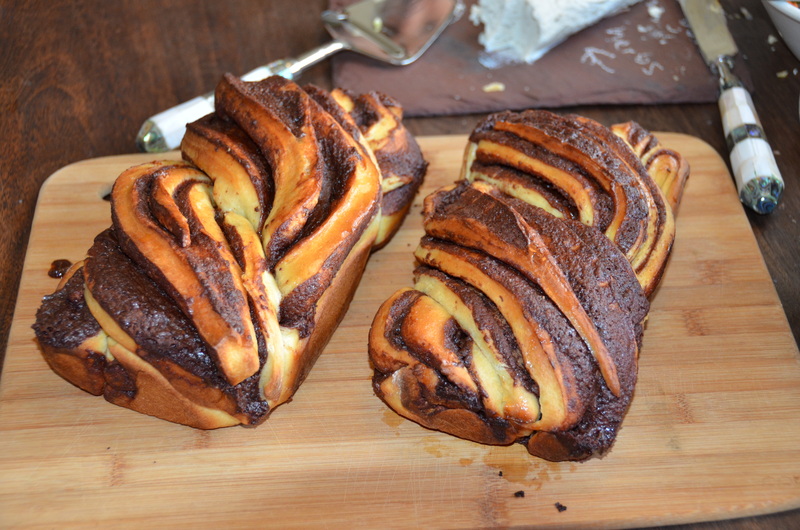 Real talk: babka takes TIME, y’all. Serious commitment. My girlfriend Rachel and I agreed that this would be our project for Easter weekend. 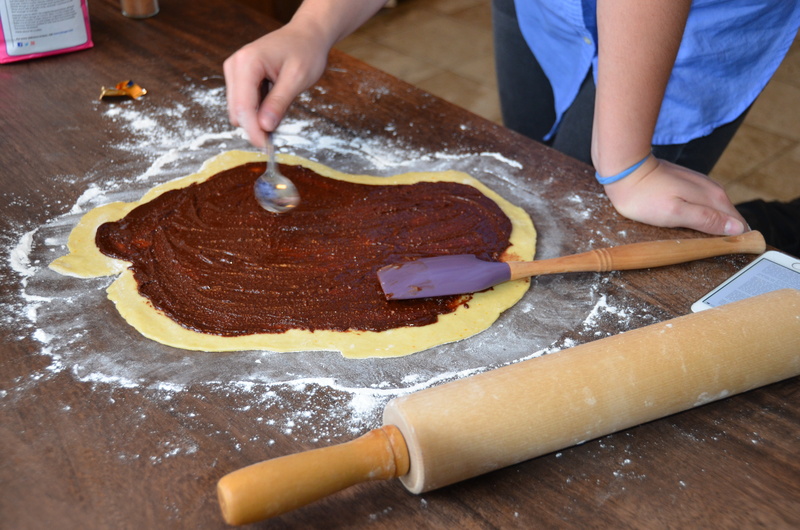 We got together the night before and made the dough (look at the flecks of orange zest! 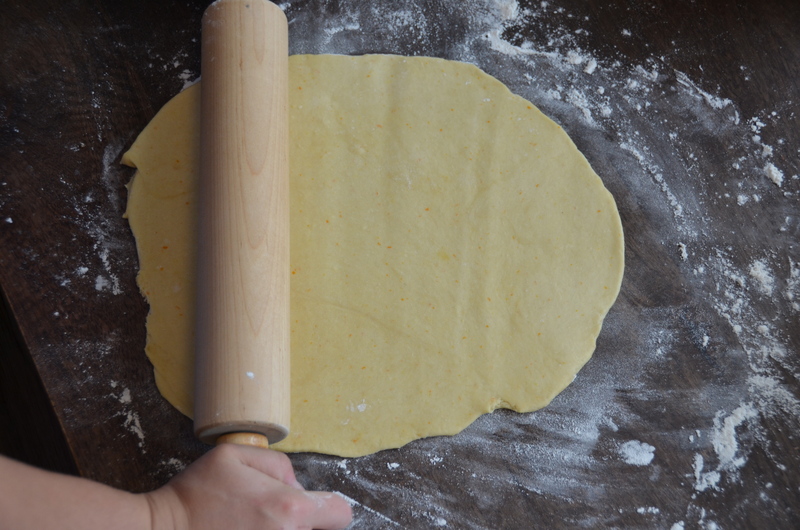 ), and then rolled and baked it on Easter morning. But I’ll be honest with you. When it came out of the oven? I felt like the world’s greatest magician. I know that all we did was follow the directions, but it makes no sense that you can make something shaped like this out of raw ingredients. It is really crazy. 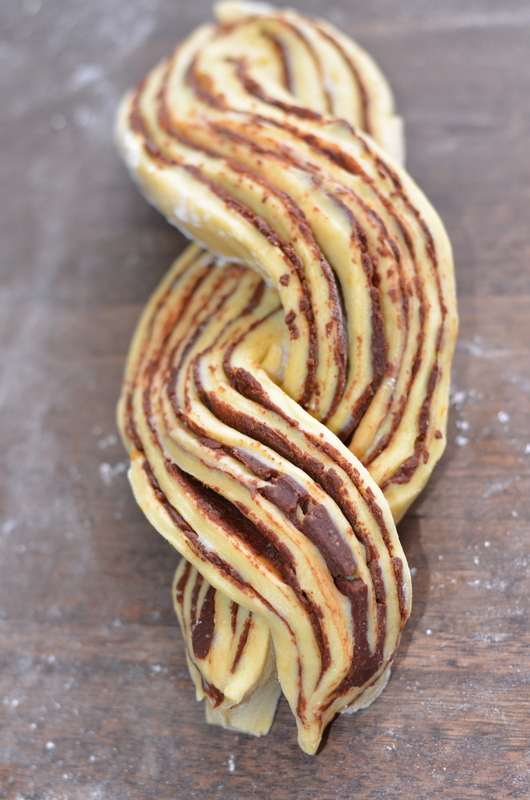 That’s what babka looks like before it’s rolled…and twisted….and baked…and cut. Like a big, delicious, chocolate dough pancake. Mmmmmmm. It’s actually really fun to roll. Also, babka filling is just straight-up crazy. Chocolate, and cinnamon, and other spices, and more chocolate? Sign me up. (Well, maybe not again for a while. Like I said: this takes commitment. And I have plans.) Tell me that this is not the prettiest dough EVER. Right?? 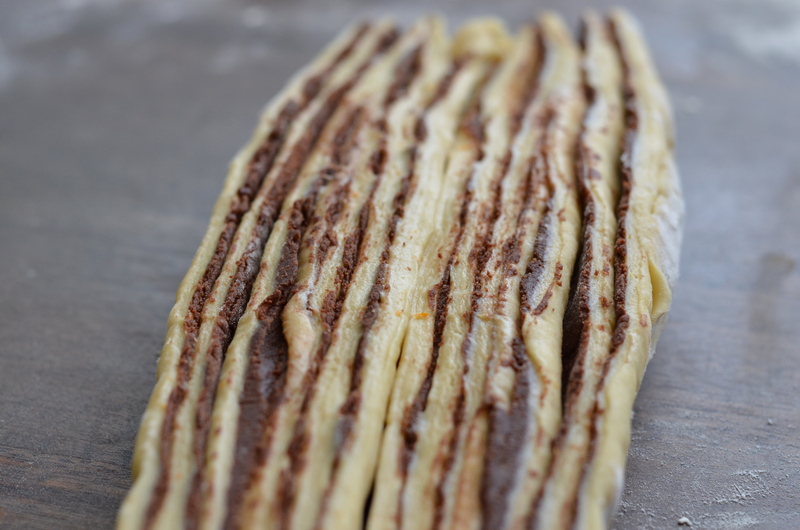 This is what babka looks like pre-bake. It’s just SO pretty. And FILLED with chocolate. And just like generally MMMMMM. I really should have taken a picture of the inside. Clearly, that didn’t happen. I blame Easter. I’m not going to spend too long selling this one. 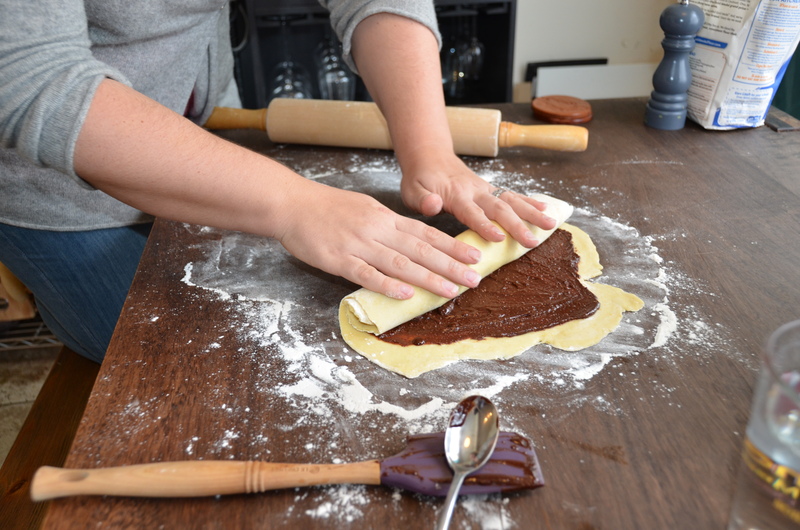 It’s flaky and buttery and filled with cinnamon-spiked chocolate. If you have an argument for any of that, then you’re a better person than I am. 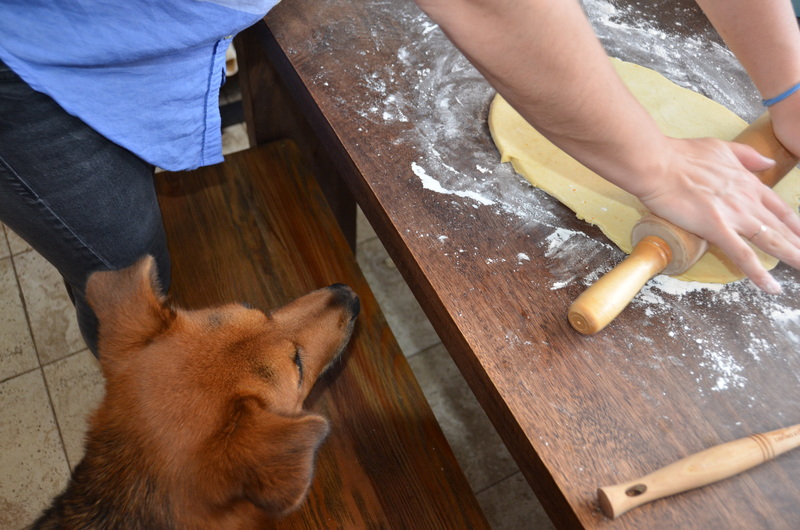 One nice thing about baking in our house is that everyone gets involved. 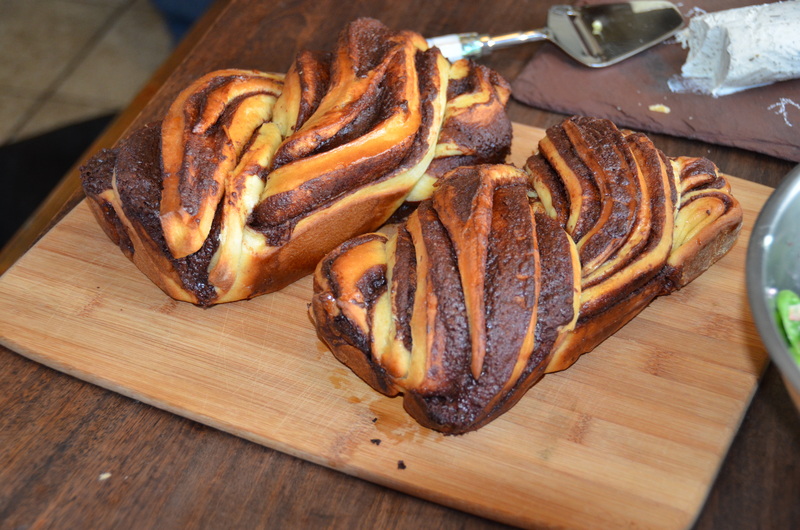 (There was no dog hair in the babka…I don’t think.) This is a great special-occasion dessert if you’re feeling motivated – if baking is scary to you (and we all know that it is to me!! ), this might be a bit of a large endeavor, but MAN is it tasty. Like whoa. I’m going to do something I don’t usually do here, and just link to the recipe that we used, because we honestly didn’t change a thing, and I’ll be darned if Deb doesn’t deserve the accolades for doing the research and real work here. Also, I am feeling too lazy to copy and paste directions here because tomorrow, I’m off to ITALY!!!! My man and I (and then eventually, the whole fam as well) will be busy eating every pizza in Italia for the next two weeks. If you’re looking for me, I’ll be busy riding a train somewhere, drinking a glass of wine and eating spaghetti, ravioli and gnocchi ALL at the same time.